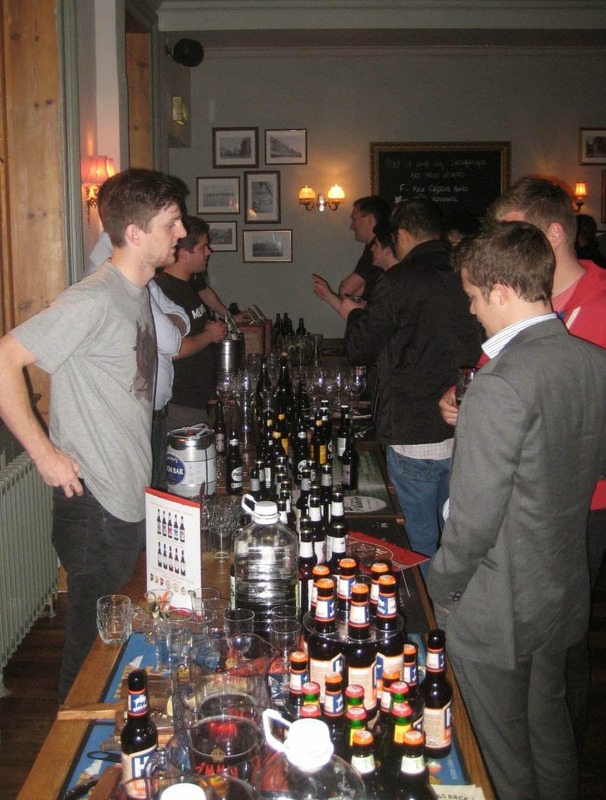 Went to a great Meet the Brewers session at the Kew Gardens Hotel last night – and yes, that's brewers in the plural. OK, not everyone presenting was an actual person-who-brews, but there were several of those present, including Dave from East London Brewery (ELB), Stuart from Twickenham, one of the Sambrooks brewers, and David who currently assists at Weird Beard but was there to showcase trial beers for his projected Kew Brewery. 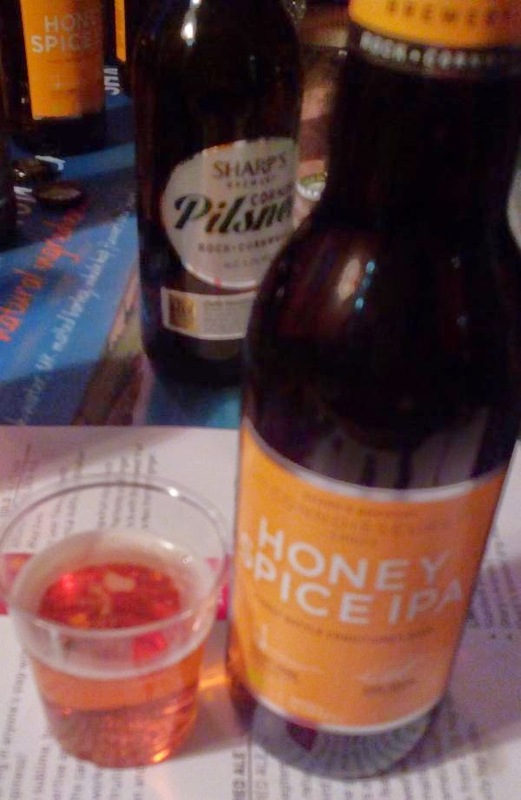 Several other breweries were ably represented by their local sales folk, including Hogs Back, Meantime, Truman's, Sharp's and Greene King, the latter two showcasing their craft ranges, including GK's Belhaven beers. Some were pouring bottled beers, others had brought their draught beers in minicasks or flagons. Some of the memorable beers included what I'm told was a barrel-aged version of Hogs Back's A over T (Aromas over Tongham) 9% barleywine, all winey and herbal-bitter with a raisiny sweetness, Sharp's Honey Spice IPA – more pale ale than IPA, albeit at 6.5%, but crisp with hints of orange and with the honey-spice subtly restrained, and Belhaven's 7% Scottish Oat Stout, dry-sweet with treacle, coffee and chocolate notes. On top of all that, the KGH itself had an extra bar in the corner allowing it to offer a varied selection of well over a dozen cask ales plus several cask ciders – and this extra bar is staying around for a few more days. That's because the mini-beerex was the kick-off event for its beer and cider festival which runs until Sunday 27th, and promises 100 different ales over the five days, with three-thirds 'tasting bats' available as well as pints. The KGH is just a short walk from Kew Gardens rail & tube station and is worth a visit – even more so while this festival is on. If you're in the area for beer, there is also Fuller's Tap on the Line by the station, and check out the Good Wine Shop in Kew village for an interesting selection of London-brewed and American/international bottled craft beers.